Creating value for customers is our unremitting goal! Baohong company is a controllable and manageable, reliable, modern injection mold one-stop service provider, provides customers with high-quality plastic injection molds and precision parts processing system solutions. Sound on-duty training for all the workers, and keeping introducing in advanced equipments to support high quality mold research and development, product development, new technology and research and development, automotive mold automation design and development, the national plastic mold standard to undertake programs to provide for the transformation and upgrading of the national mold industry booster. Globally distribution, serve nearby, always bearing in mind the needs of customers, improve customer service levels! Shenzhen Baohong Precision Molds, Ltd. was established in 2005, registered in Shenzhen, China, specializes in mold manufacturing industry, to provide the components for the electronics, automotive, medical, IT, communications and professional equipment and other industries. We won a high good reputation since work for world-renowned brand companies in automotive, electronics, electrical and other industries. We have ISO 9001; 2008; ISO14001:2004; / TS 16949: 2009; UL and EICC etc a series of international certification. In the more than ten years development process, Baohong company strive to promote exchanges among peers in the region with a proactive attitude,, to promote international trade and technological exchanges and cooperation, in order to contribute to the development of the industry. Ten years ago, Baohong was set up with dreams in Shenzhen, China. Over the past decade, Baohong adhere to the "dedicated, professional, devoted" spirit, with high quality and on-time service, and with the innovation and keep learning attitude, we are highly recognized in the design, manufacture of molds, and injection molding processing areas of the industry. No pains, no gains. Baohong treasures the pioneering history and arduous pioneering spirit, Thanks to the young "Hong Bao people" devotion in more than a decade as one day, sway youth and sweat, to keep Baohong vibrant, all rising. Baohong pays most attention and most proud of is the quality, consistently adhere it as the life of the company, and more pride is trustworthy, has won us the praise and trust from the customers, created a rapid development of the enterprise again and again. Looking back the entrepreneurial path, which is rough and rugged, but it gives victory to the cohesion and professional team. Time passes, fought side by side with customers with truth in existence, company and its dreams; and thanks the staff, with your professionalism and dedication of the wisdom and strength, so that our young blood sway naturally; won us one after another the brilliant achievement; thanks the competitors, with your work together in mutual learning thrive, the stars shining as we compete! We will always be awake and humility, against the collective wisdom and strength in every challenge and opportunity in unremitting efforts to forge ahead and achieve Baohong Precision Molds with the most advanced level of this dream! 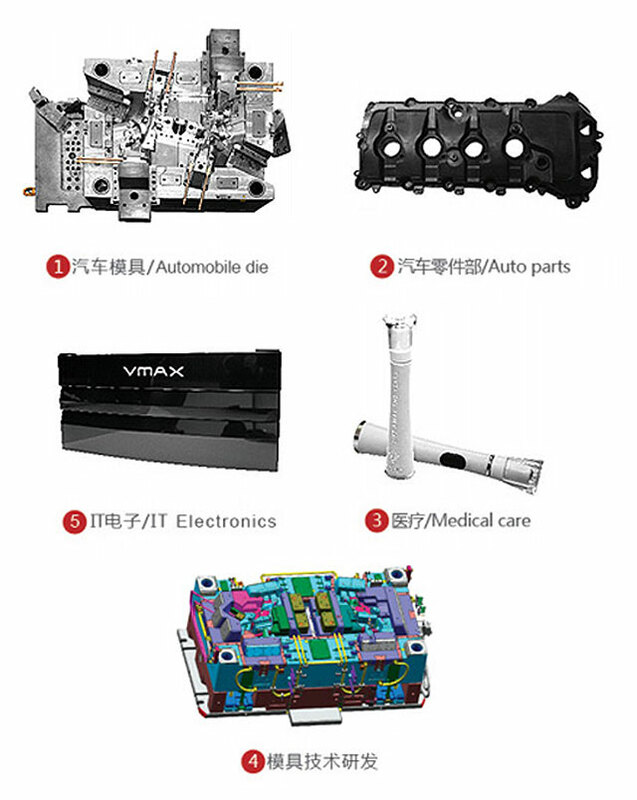 2008 Baohong expand its scale and brought more advance equipment and start move into automotive industry. 2011 Boahong improved its equipment, brought including Italy's FIDIA five-axis CNC, Japan's high-speed machine MoriSeiki, Makino, two head EDM Sodick and so on. Mold workshop has CNC, sparks machine, walking wire and other processing equipments, in the meanwhile, expanded the business to automotive interior molds, lighting molds, high polish molds and 2K molds. 2014 Baohong build R&D team, with the efforts, lots of products have obtained invention patents and got lots customers’ support and trust. And obtained the national high-tech enterprise certificates. 2016 Set up a sole proprietorship subsidiary in Zhaoqing, which is named: Zhaoqing Baohong Technology Co. Ltd.
Technology to enlighten the future, innovation to make achievements. After years of hard work in the field of precision molds, Baohong determine the leading market position in the industry, over the years experienced sales service, has a number of highly qualified management and sales team. In-class technology, first-class product quality and excellent level of service, will develop into a first-class supplier; Insist to innovative ideas, insist to the concept of sustainable development, and strive to shape the national model enterprise beyond the international counterparts; for the community, customers, employees greater value. Our technology will keep increasing, to meet customer demand for specialized products; management level will get greatly improved, thereby improving efficiency, to meet large projects management needs.